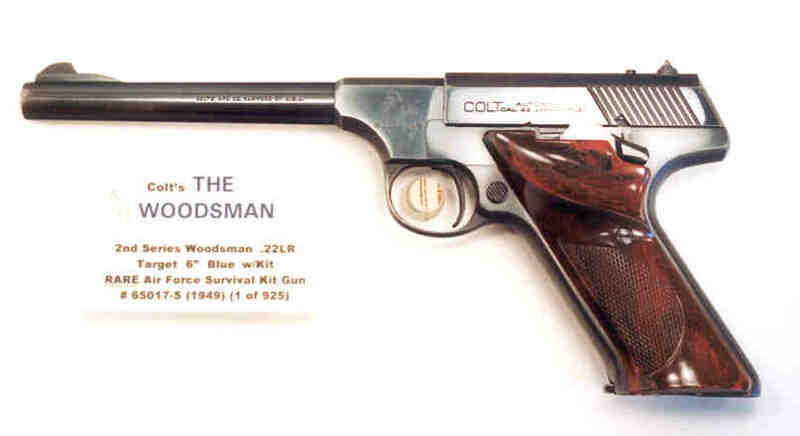 Woodsman 2nd Series Target .22LR 6" Blue, 98%+, SN#65017-S (1949) RARE Air Force Survival kit gun with mint correct original 'Coltwood' plastic grips w/thumbrest, mint bore, correct magazine, correct fixed rear sight and unique front sight, (gun does NOT feature slide stop or grip adapters). 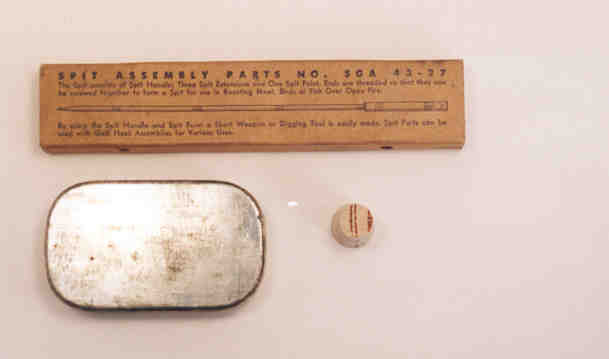 Gun is 1 of 925 specially modified Woodsmans sold to the Air Force in 1949 for survival kits and this one comes complete with the exact boxed Spit Assembly and sealed Gaff Hook Assembly and instruction sheet that was part of the survival kit (you could catch a fish (ha! ), spear a rabbit (yeah right! ), and skewer him on the spit for cooking). Has very minor muzzle wear on both sides. Have instruction sheet Xerox for Survival kit. See Serial Number 65017-S above for detailed description.